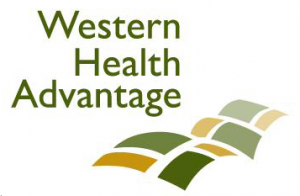 Western Health Advantage members enjoy the benefit of travel assistance services through Assist America. Emergency and Urgent Care coverage are offered anywhere in the world through this program. This service has no dollar limit, and there are no limitations with regard to sports or alcohol. So if you got hurt in Tahiti while drinking vodka and bungee jumping at the same time, you’re still covered. Plus, with Assist America, members in the United States get additional services are when they are more than 100 miles away from home. A WHA member was impressed with Assist America services when her son forgot his medicine while he was traveling in Europe. She called “Assist America” and they got his medicine to him within one or two days. Another time, when her son was out of the country, he needed to get some shots, and Assist America made sure he got his shots even though he was not in the United States. Assist America has a mobile app that can be used to get services while abroad and includes a US embassy finder. Services also include help with money exchange and coverage without any extra out-of-pocket expenses.